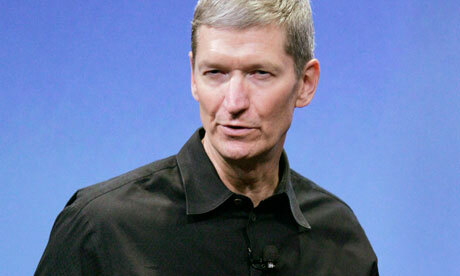 Apple's CEO Tim Cook visited China on 26th March , 2012. What is his main intention, is it for a marketing Apple products or for expanding its China operation? As per Cook, his main intention is to get more cooperation from China. Cook also expect to get top talent from IT industry in China. This was one of the comments from one spokeswomen "Tim is in China meeting with government officials. China is very important to us and we look forward to greater investment and growth here." Right now Apple has a tight legal dispute with China for the iPad trademark etc. Apple has sued Proview and its affiliates for the transfer of trademarks, while Proview Shenzhen has asked Chinese authorities to block the import and export of Apple's iPads. Apple has many bad experience with Chinese market, poor working conditions at its supplier's factories in China. Eggs were thrown at one of its Beijing Apple stores, after that it has decided to cancel all iPhone 4S sales . Tim Cooks try to get rid of these things by commenting China has become the company's second largest market behind the U.S.Apple has deals in place with China Telecom and Unicom to sell its iPhone in the country.Apple has merely scratched the surface in China as it looks to expand, as it has only five stores in the country. In China, as iPad 2 is not yet released people have been smuggling the new gadget .Apple is also reviewing labor standards at the Chinese firm , because there were some suicides at the factories of contract manufacturer Foxconn.